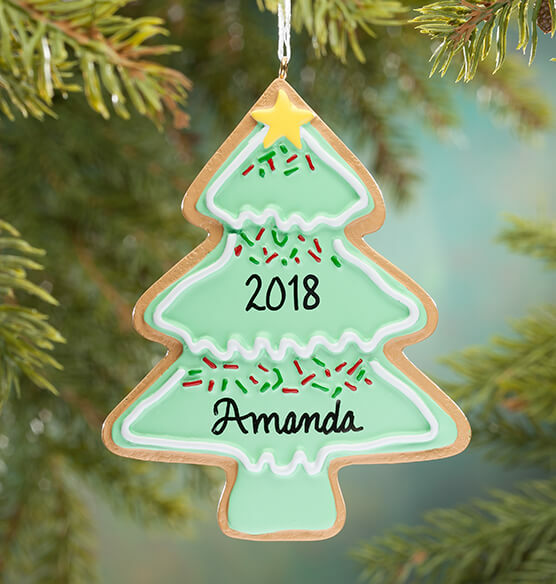 Iced, sprinkled and lovingly personalized ... this adorable personalized Christmas tree Christmas cookie ornament makes the “cut” on our list of favorite gifts! Creating sweet holiday memories, year after year, this custom Christmas ornament is perfect for kids, adults and cookie lovers of all ages. We’ll personalize with name, date or any special message, creating a custom treat! Specify name, date or message; limit 2 lines, 12 letters/spaces each. Resin. 3 1/4" long x 4" wide.